Vijay Antony has several film in his lineup. He continues to impress by choosing exciting titles for his movies. He’s working for his next project Thimiru Puduchavan now. First time he will be suiting a Police officer costumes for his cop role. Also, for the first time, actress Nivetha Pethuraj pairs up with him. After the first look release, now the team has announced that they will releasing the motion poster tomorrow at 7pm. >>WATCH: Naga Naga Video Song From Thimiru Pudichavan! 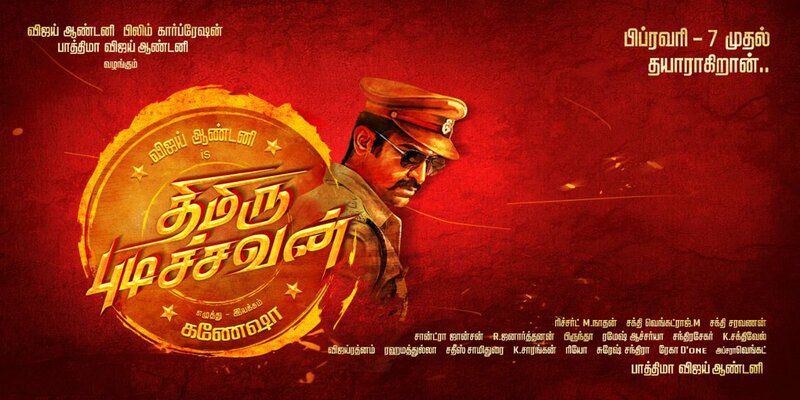 >>Thimiru Pudichavan Title Card Video Song Is Here! >>Thimiru Pudichavan - Sneak Peek Is Out! >>Vijay Antony - Arjun's Exciting Teaser Is Here! >>MUST WATCH: 9 Exciting Videos To Watch Today!